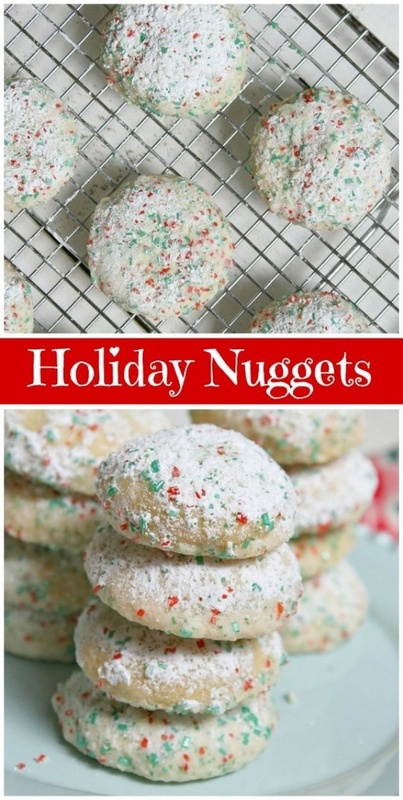 Holiday Nuggets By Lori Lange | Recipe Girl. Lightly sweetened and flaky with chunks of slivered almonds, these are the kind of cookies that melt in your mouth. The powdered sugar coating gives them an extra boost of sweetness.